A refreshing update that builds upon the big release 4, making it rock solid and wicked fast! Your tree’s parameters depend on each other – for example, a smaller leaf area reduces pruning – grows a denser tree – adds more weight – increases bending… Just one example of a butterfly effect that resonates through each parameter. Perfecting your tree is therefore a balancing act and this update will make it much more fun! A big restructuring of the code and many small optimizations add up to a big speed increase. Trees now grow twice as fast! That’s a 100% speed-up, without compromise. There are many changes under the hood, none of which change functionality. Just pure speed! Less time to grow, more time to experiment. 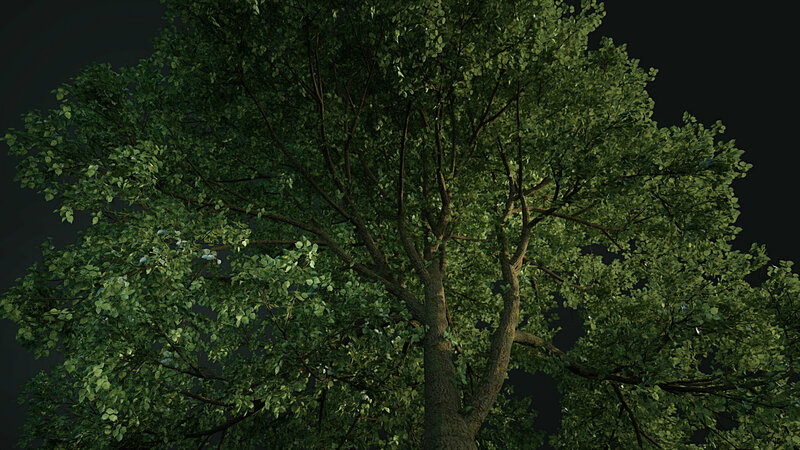 Improved thickness calculation for heavily pruned trees, fixing branches that quickly grew too thick. Improved calculation of the photosynthetic efficiency of a branch, which greatly improves Favor Healthy. Improved watershoots chance, now using the correct place to calculate the shade of the node. When growing several trees together from empties, the tree origins sometimes went haywire. Fixed! Peak Height did not account for the start height caused by growing from empty objects; trees grown above Peak Height would not grow at all. Fixed! The tree height in the info display is now accurate. The manual Prune and Shape tools did not work well with more than one 3D view. They did not always take the active 3D view’s matrix. Fixed!